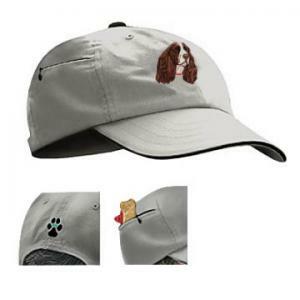 Caps are khaki/sand in color with a black button and black trim. All feature a zipper on the side for keeping keys, money or other treasures! They are 100% cotton twill. The embroidered liver Springer is stictched in a full face design.